One of my favorite shows on television is The Amazing Race. I have never missed an episode, and season 24 just started on Sunday. Its a race around the world with different challenges along the way. Travel and competition – it doesn’t get any better than that. Throughout the series, they have periodically used different stadiums for some of the challenges. In this seasons’ premiere, episode 1 actually starts out on a track, so I of course a bell goes off in my head. Let’s follow along with The Amazing Race and find tracks located along the way! The very first scene of this season takes place on today’s track at Cougar Stadium, which is located on the campus of the College of the Canyons, and there is a challenge right away involving the UCLA Marching Band. 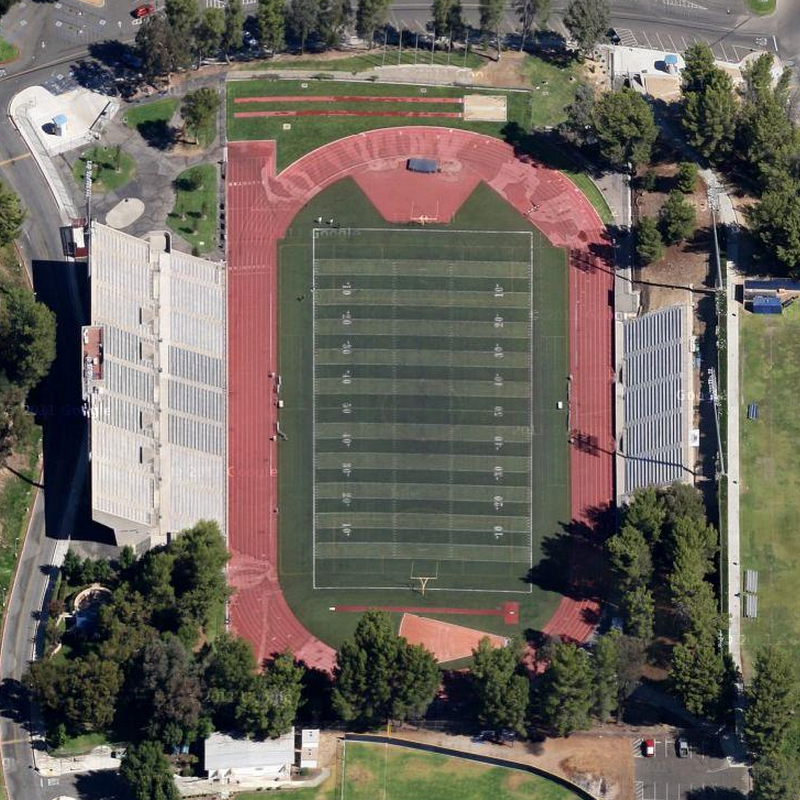 Cougar Stadium is the home facility of the CoC Cougars and well as athletic teams from William S. Hart Union High School District. Originally built in 1969, the facility has a brand new track surface and artificial turf infield that were installed just last year. 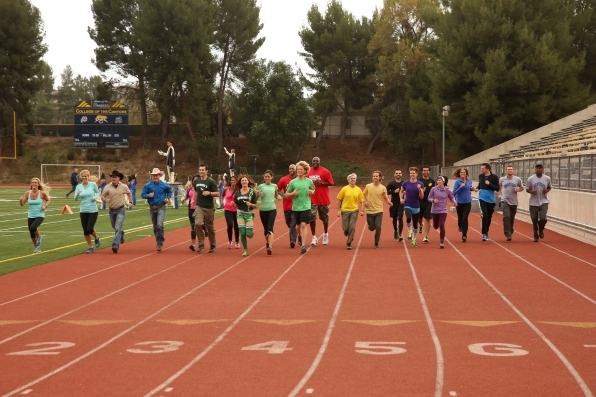 View a photo gallery HERE of the track from The Amazing Race, Episode 1.